The Miskatonic Institute of Horror Studies - London takes a trip through the cinematic history, cultural importance, and significance of the 'Highway Horror Film' using landmark films from PSYCHO (1960) to SOUTHBOUND (2015) with celebrated academic and author Bernice M. Murphy on December 13. 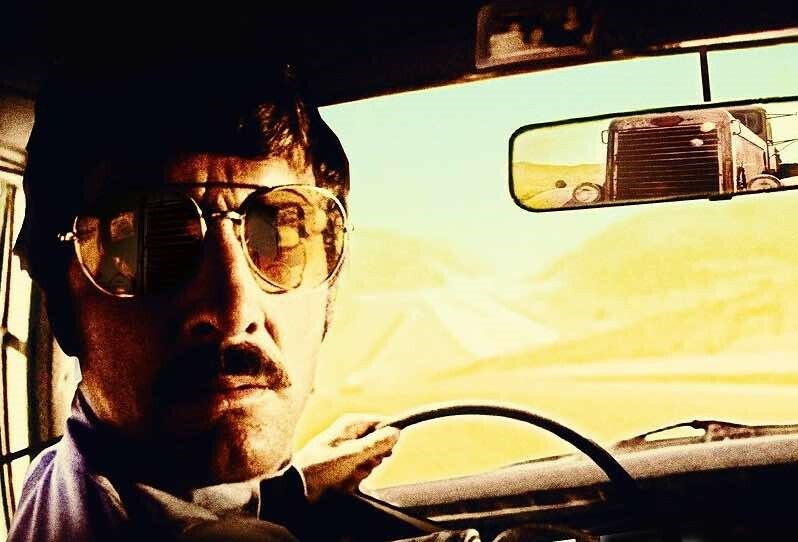 Then we’ll move on to the second major theme in the sub-genre: the ‘highway nemesis’ narrative, in which the middle-class male road users are forced to engage in deadly cat-and-mouse battles with monstrously aggressive blue-collar adversaries, as in Duel (1971), Race With the Devil (1975), The Hitcher (1986), and Joy Ride (2001). Next, the idea that the freedom of movement and culture of anonymity associated with the highways makes them an ideal killing ground for the serial killer will be discussed, with a focus on the theme of compulsive mobility in films such as Henry: Portrait of a Serial Killer (1986), Kalifornia (1993) Freeway (1996) and Death Proof (2007). Finally, the seminar will conclude with a consideration of the fourth and final ‘Highway Horror’ strand, which features films in which the protagonists are killed or seriously injured in car crashes, but find themselves trapped in a purgatorial space between life and death, as seen in Carnival of Souls (1962), Dead End (2003), Reeker (2005), Wind Chill (2007) and the recent anthology Southbound (2015).